More flowers, brighter blooms and stonger, healthier growth. Vitax Clematis Feed is a balanced feed with an organic base, formulated to promote the growth and flowering of clematis and other climbing plants such as Honeysuckle, Passion Flower & Ivy. 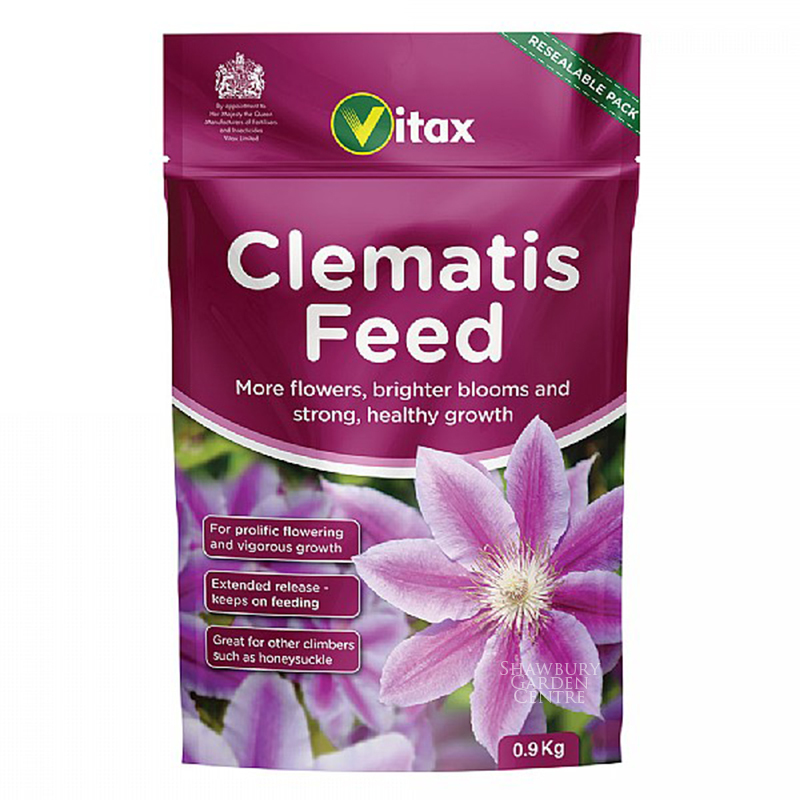 If you would like further information about Vitax Clematis Feed, please contact our garden centre at Shawbury just outside Shrewsbury in Shropshire, by calling 01939 251315 or emailing.